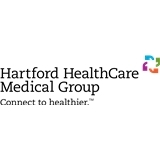 Hartford HealthCare MG Primary Care, Wethersfield (Wethersfield) - Book Appointment Online! Dr. Nafees was kind and compassionate. I felt as though I was her only patient. She was attentive to my concerns and alleviated any fears I may have had. There was no long wait. All of the staff was friendly. The office is clean and spacious. Dr. Dann is very thorough and a pleasure to have met her. She explained herself very well. I have been seeing Nicole Hettrich for over a year now. She’s always very kind and caring. I sometimes have to bring one or all 3 of my small children with me and she is very understanding. I never feel like she is judging me and is always very open-minded. I cannot imagine going to see anyone else for my primary care. I am so glad I found her.